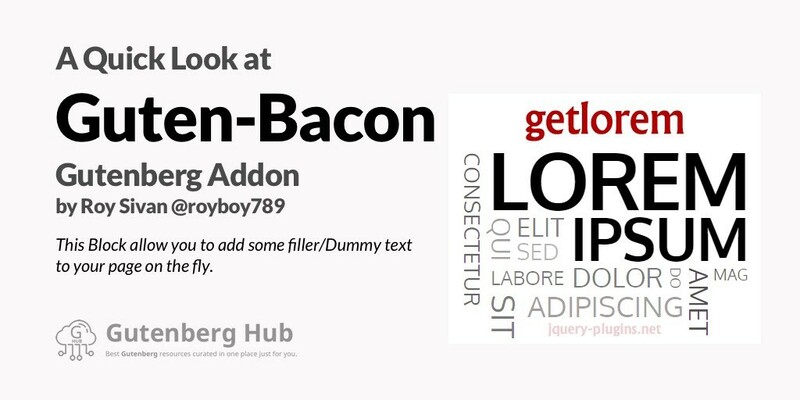 Here comes a Gutenberg block to add some nice dummy text/filler text on the fly to your page/post. This is built by Roy Sivan @royboy789. This block may come handy in different use cases such as to fill a mockup page with dummy text. There are not many options for now and it doesn’t render the dummy content in the editor view. However, it output the filler content on the front-end fine. Of course, like any other Gutenberg plugin, this is also in Beta and we may expect improvements and updates in coming days. This is available at Github, here is the repository link. Give it a try and pass your feedback to the developer.